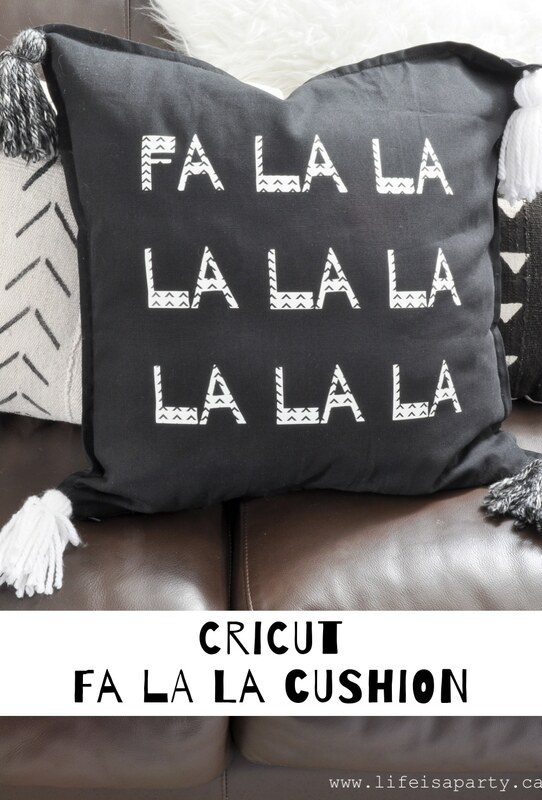 Cricut Fa La La Cushion: this fun holiday cushion is easy to DIY with your Cricut machine, and some handmade yarn tassels. 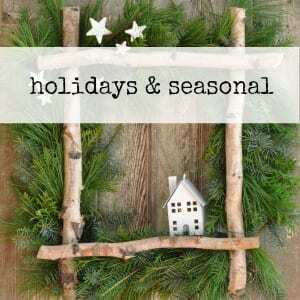 Welcome back to my Boho Christmas Week! 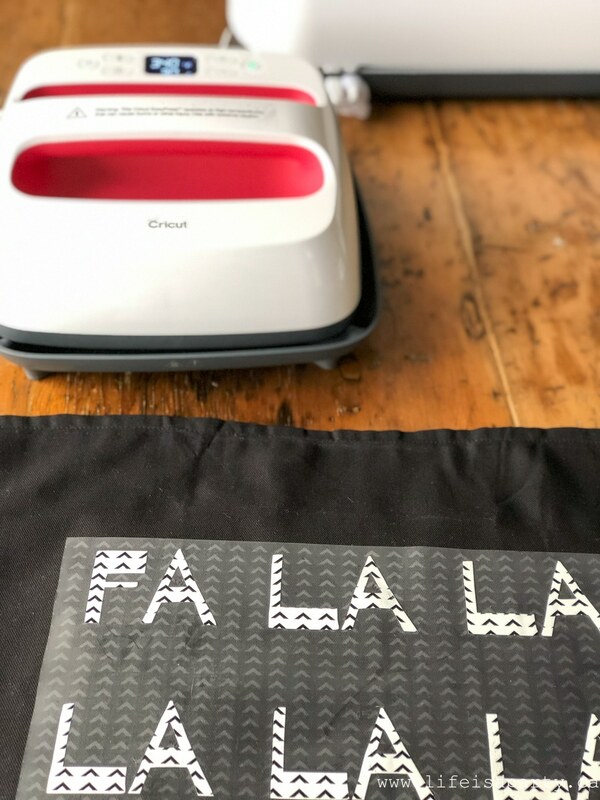 Today is day three and I’m sharing a fun Cricut project, that’s perfect for our Black and White Boho look this Christmas. I absolutely love how this little cushion turned out, and it really was a quick and easy project. It’s been a lot of fun partnering with Cricut and using the Cricut Maker for some really beautiful projects this Christmas -did you see my Fair Isle Sweater inspired candle holders? For this project I got to use the Easy Press with Cricut’s Iron-On material. 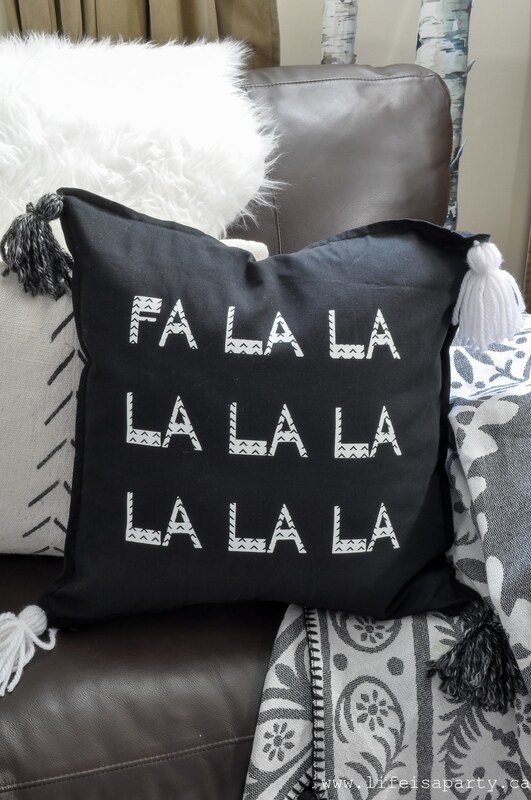 We started out my designing the Fa La La… in design space. 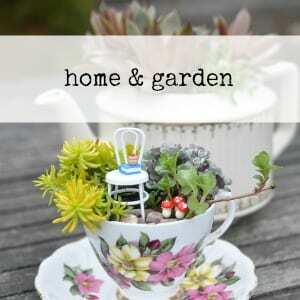 You can access my design here. 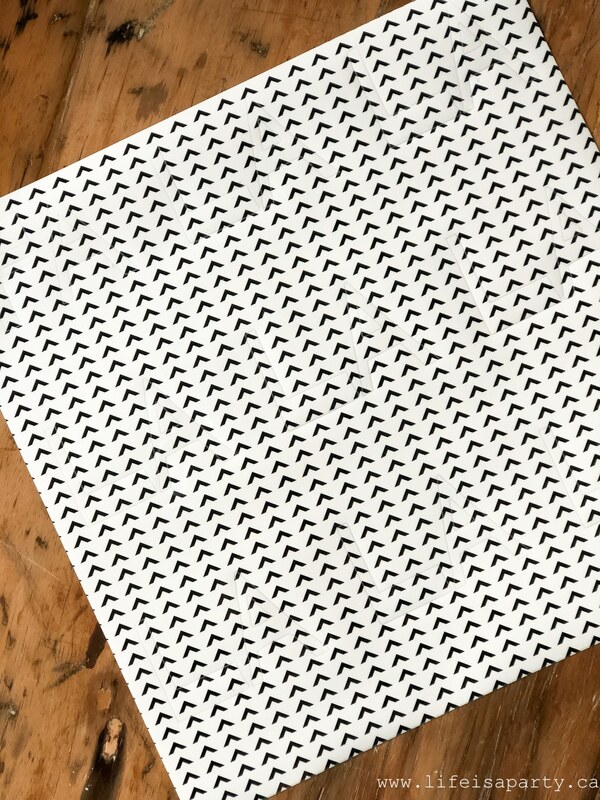 We used Cricut’s patterned iron-on material, and chose this fun black and white pattern. I love how it kind of has the mud cloth feel to it. 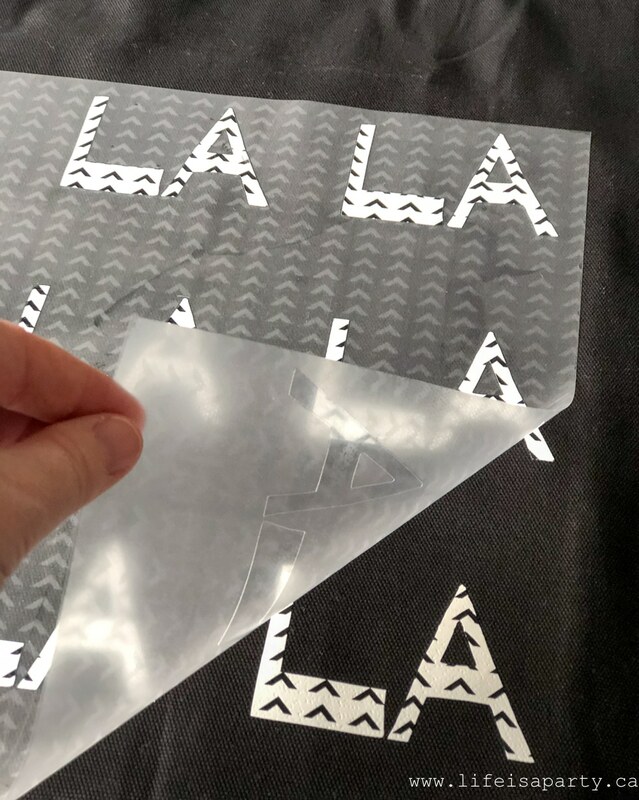 Following the instructions from Cricut, just lay it shiny side down on your regular grip Cricut mat, and select patterned iron-on as the material on the Cricut. 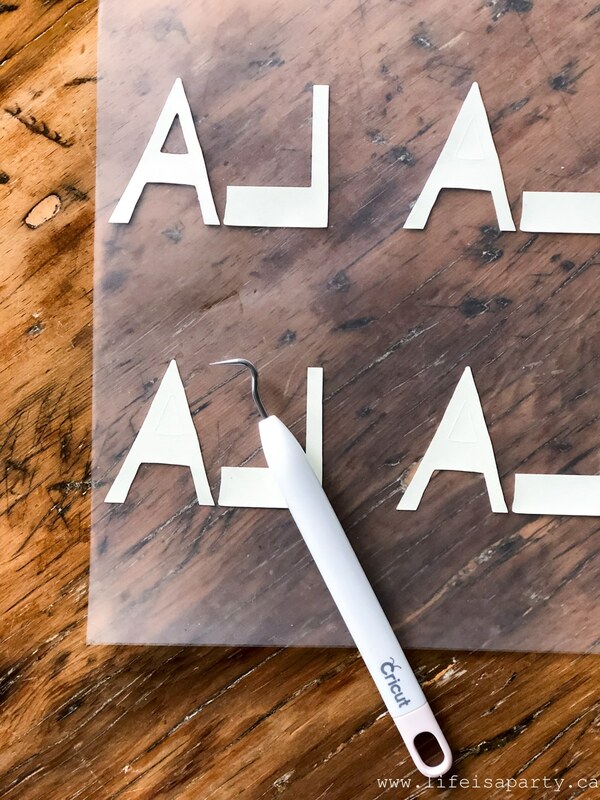 Be sure to select mirror before cutting, so that once it’s ironed on the letters will be facing the right way. Using the regular blade the Cricut cuts out the pattern perfectly. 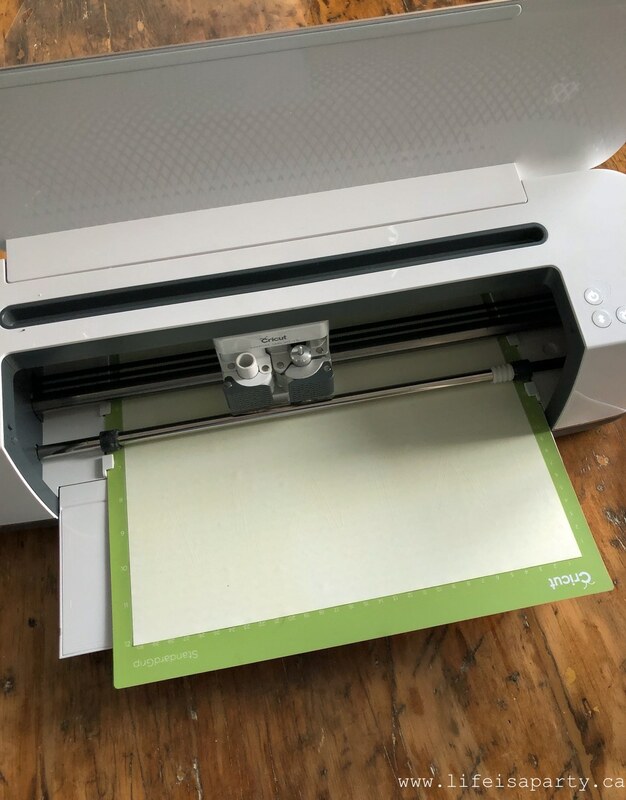 Next remove the iron-on material from the cutting mat, and weed the excess materials using your Cricut tool. 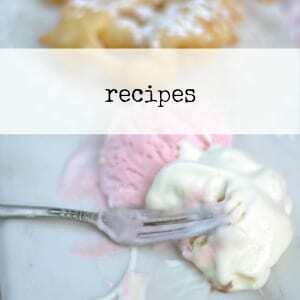 Now heat up your easy press to 340 F, and wait for the green light to appear to indicate it’s heated up. 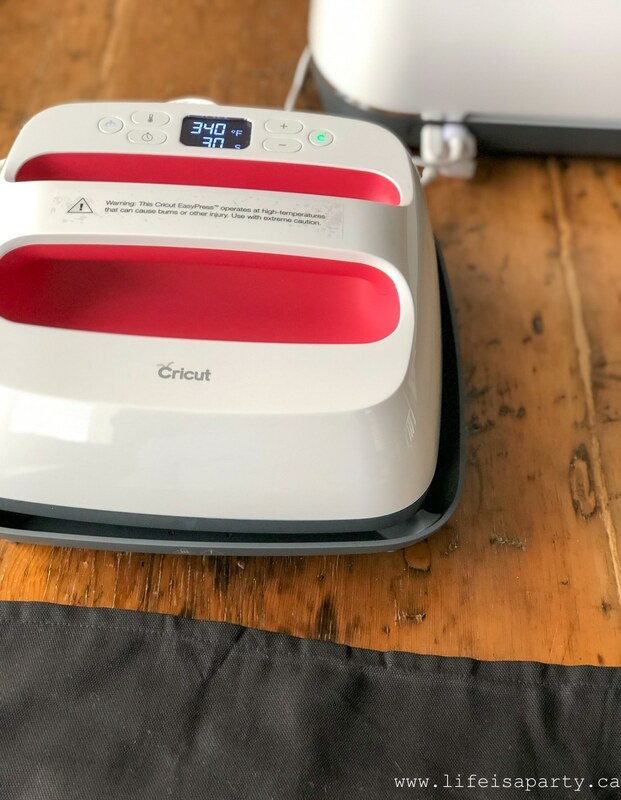 Using your Cricut Easypress mat, heat up your cotton cushion cover for 5 seconds, and remove any wrinkles from it. 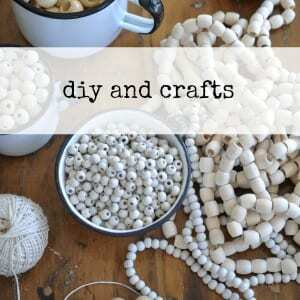 Now apply your iron on material and arrange it so it’s centred on the cushion. Next apply the Easypress for 50 seconds with firm pressure. Then flip it over and apply the Easypress again with firm pressure for 15 seconds. Once it’s cool, peel off the liner piece. I made some yarn tassels and attached them to the four corners of the cushion with a darning needle. 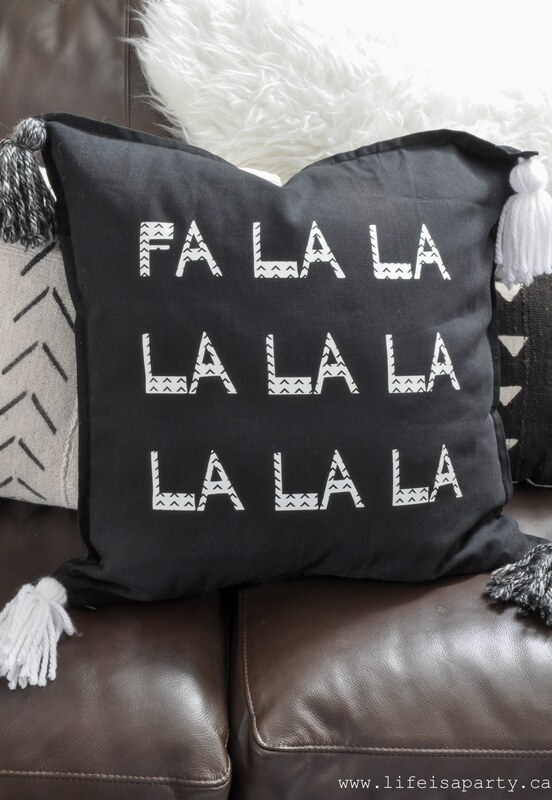 You could do so many versions of this pillow with different words, for the holidays or for everyday. The tassels were a fun and quick addition, I thought pom poms would be cute too. The possiblities for this are pretty much endless. 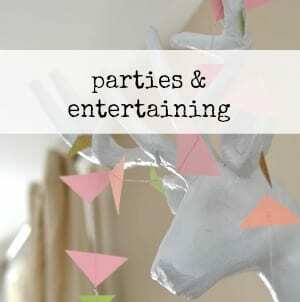 If you missed our Boho Christmas Reading Tent, or Black and White Boho Christmas Mantel be sure to check them out. 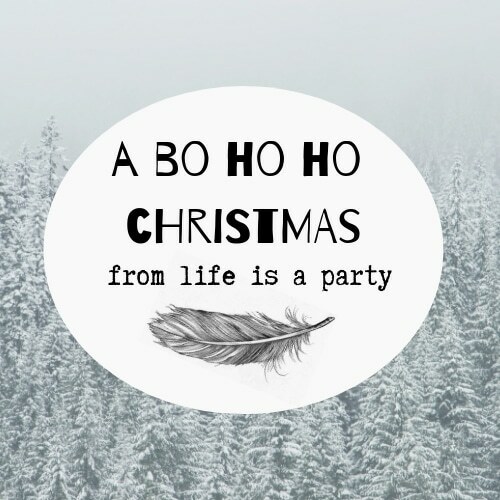 Tomorrow for Day 4 of our Boho Christmas Series I’ll be sharing our Boho Christmas Tree. 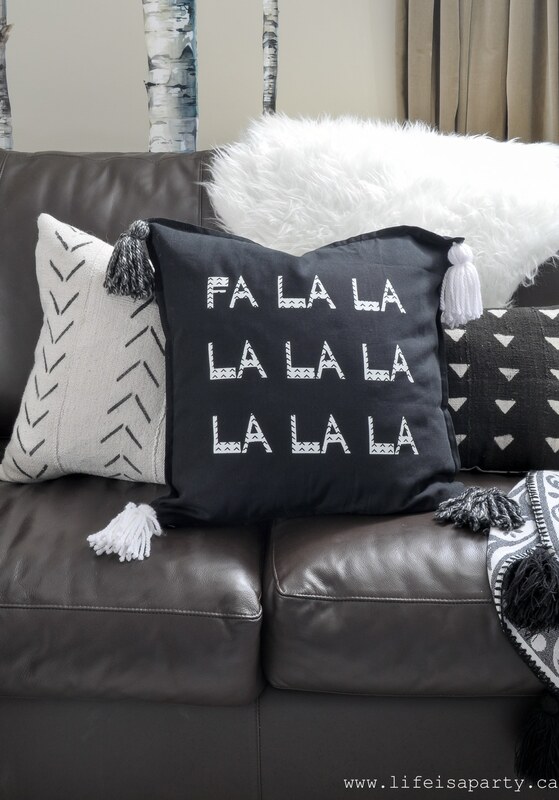 With a beautiful Fa La La Pillow, life really is a party.